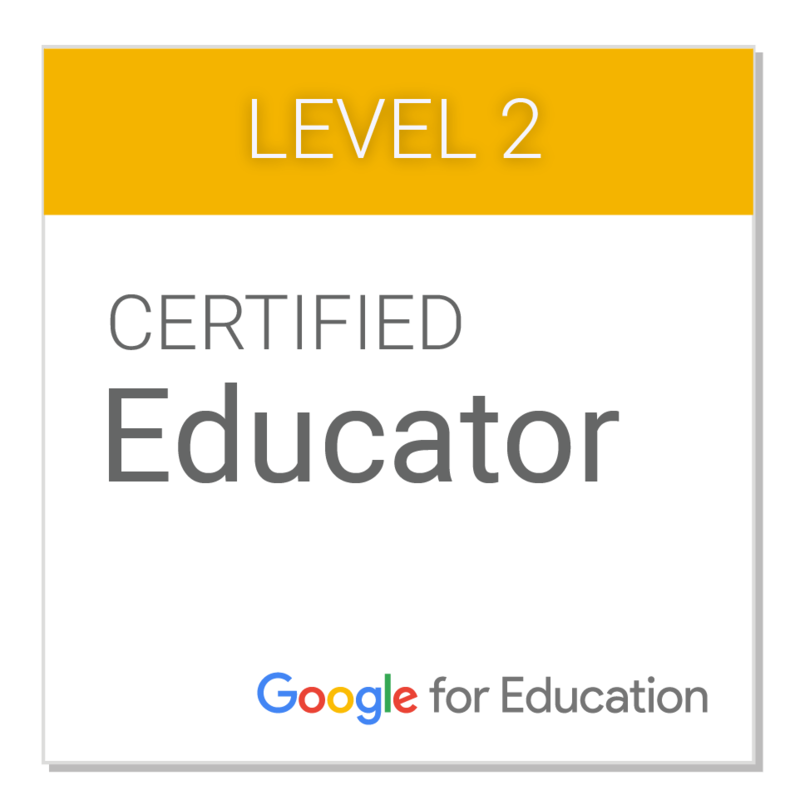 * Teachers: Are you looking for strategies to bring your classroom into the 21st century? I’m Jennifer Wolfe, and I’ve taught middle school English, History, Yearbook, Reading, and AVID for over twenty-seven years. In 2012 I received a grant from the U.S. Department of Education to study global learning and 21st teaching skills and traveled to Indonesia as a global education ambassador. I also run a sister school program between my California middle school and a K-6 school in Agua Fria, Nicaragua. 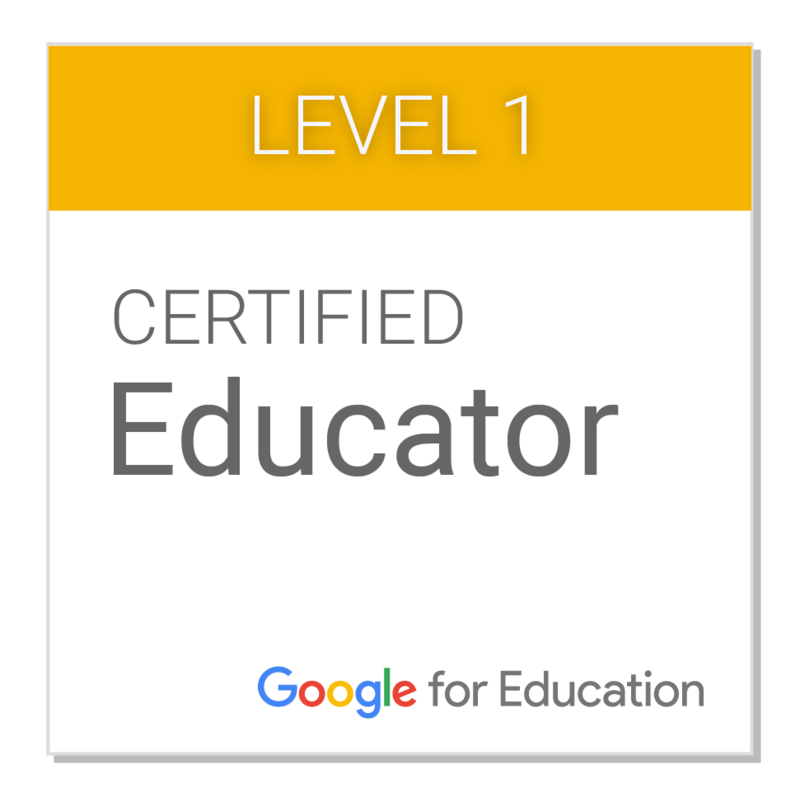 I’m a Certified Google Educator, hyperdoc fanatic, and strive to weave technology and real-life learning into my student-centered classroom. Click any link below for free teaching resources! Get a copy of my digital syllabus template here. 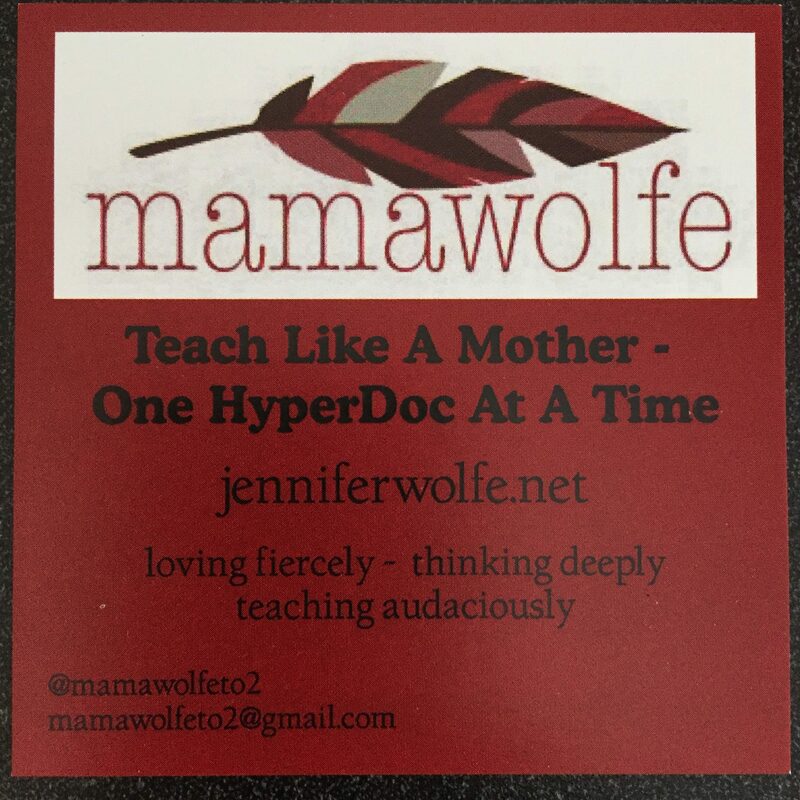 Would you like a FREE mamawolfe sticker? EMAIL me at mamawolfeto2@gmail.com, or CLICK HERE TO CONTACT ME and I’ll send you one! Visit mamawolfe’s AVID PROGRAM website. * Parents: Are you looking for ways to make life a little easier for you and your child? I would like thd information for your back to school stations. Hi Shane, did you find the links on my page here where you commented? Let me know and happy first week of school! I love your BTS stations and would love to use them. I downloaded the DropBox file but it looks as though some of the topics, etc. are missing. Do you have any suggestions for stations 2 & 6? Thanks in advance! Great article. i will for sure read in detail. I found your BTS stations at http://theeducatorsroom.com/2015/09/no-lectures-try-back-school-stations-instead/, but I was unable to email you through the link in the article. I am interested in the station directions. If you can share them through Google Drive, that would be even more awesome! Cancel that! I found them above! Oh great! Let me know if you need anything else, or if you have ideas you’d like to share about how you used them! Happy back to school! Thank so so much! I found the station directions but maybe I’m missing where the template is? Which template? The passport template I purchased from TpT. Thank you, Monica! I hope they help you help your students.